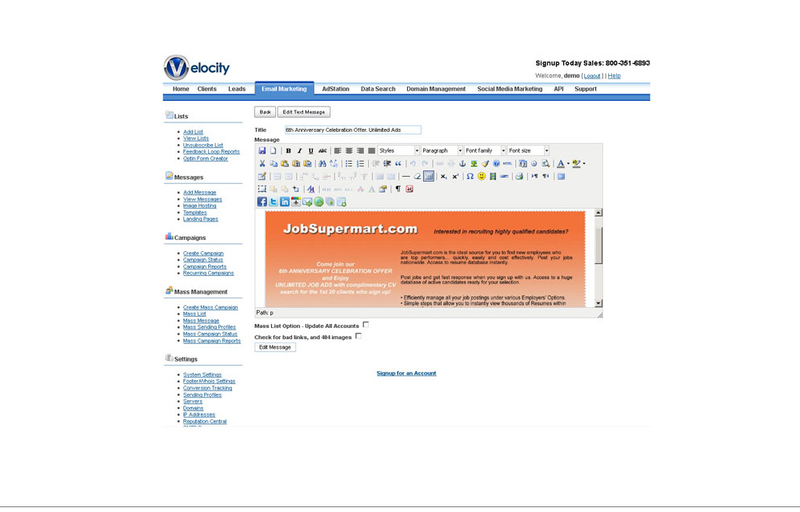 Why choose Velocity Bulk Email Marketing Software? Send large volumes of email in the millions to billion. 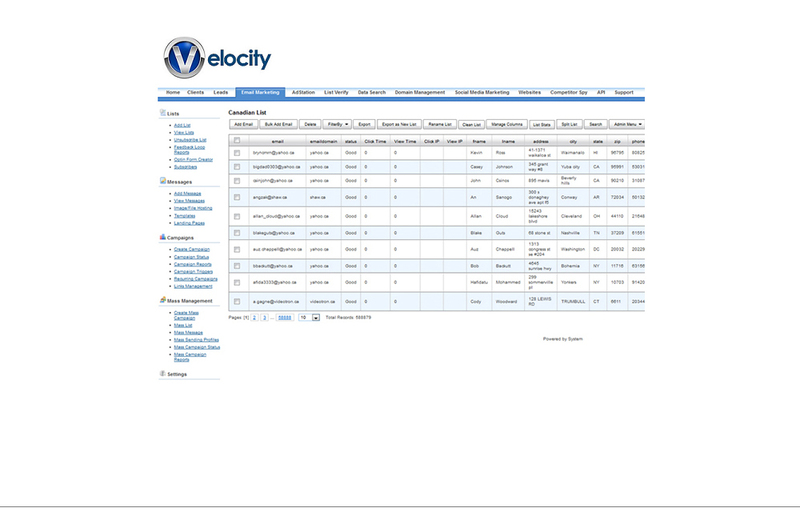 Velocity Bulk Email Software is perfect for solution marketing companies, ad agencies, website design firms, a developer looking to expand your business or list broker trying to protect your data. You can allow clients to use your data but protect your list from being downloaded by logging into your subaccount and use our data protect feature.